The Charlotte Mason method attracts many homeschoolers because of its gentle approach. Charlotte Mason lived at the turned of the century in England and taught teachers to use her method. This method has become a popular method for home schools. It focues on such things a forming good habits, nature study, short lessons, narration and inspiring literature. Charlotte Mason teaches that "habit, in the hands of the mother, is as his wheel to the potter, his knife to the carver - the instrument by means of which she turns out the design she has already conceived in her brain. She instructs in a gentle approach to training a child. For instances there is one example in her books where the mother says to her son that she will be helping him remember to close the door when he goes out. Of course it doesn't take long before she has the opportunity to do this. He leaves the door open and she gently - without nagging - calls him back and reminds him to close the door. When this approach is used consistently it can be a positive approach to helping children learn habits that will serve them well for a lifetime. In nature study Charlotte Mason encourages the keeping of a notebook where you record nature. This can be done by drawing, painting and writing. Nature walks and observance of the world around us are encouraged. Narration helps to form the habit of listening. When a child is young you may read a story to them and then ask them to tell you about what you just read to them. If you have several children they can all participate in narrating vocally, perhaps beginning with the youngest who is still learning. Older children should also be expected to do written narrations of what they've listened, read or observed. Inspiring literature, as stated in my last post, should be part of any homeschooling method. Charlotte Mason calls them living books. She stresses that children should never read twaddle. To describe her approach to education Charlotte Mason said, "Education is an atmosphere, a discipline, a life." This method is lacking in drill and may work less effectively for teens. It can lead into the Classical method easily. There has sometimes been confusion about what Classical Education is. Some assume it only means that you include the classics as part of your curriculum. Hopefully, every homeschooler does this since it is an important element of every successful method of homeschooling. Classical Education is a little more detailed in its description than this though. Classical Education depends on three stages of learning referred to as the Trivium. In each stage the student learns material suited to their mental developments. When they are young they memorize easily but are not ready to apply what they learn until they reach the third stage. As with many methods, there are various approaches to Classical Education, and customizing it to fit the needs of your family may make it a fit for you. Using this method, your child can get a solid liberal arts education. Grammar Stage - This stage generally includes students from ages 5 to 10, although this can be a bit flexible according the individual development of your child. In this stage they easily memorize and mimic what you teach. This is a time to drill all those math facts and lists of cool science stuff. It's a great time to be playing file folder games and other hands on memorization tools that will help them gather and memorize all the helpful information they can. It's a wonderful time to be memorizing scriptures. Some of what they are memorizing may not even make complete sense to them at this stage, but later it will. Logic Stage - This stage generally includes students from ages 11 to 14, although flexibility still applies. When you notice your child is beginning to question what you tell them its a pretty good indication that they are headed into this stage. In the Grammar Stage they may have questioned what. But in the Logic Stage they question why. They want to understand all those things they learned in the Grammar Stage and make sense of them. They want to understand why family rules are important and why the grass grows or everything turns green in the spring or it is important to practice the piano. Although this can be a frustrating shift for parents, undertanding why a child has started arguing and questioning everything can help a parent know how to continue to be effective. Rhetoric Stage - These are high school age kids from about 15 to 18. This is the stage when the learn to apply everything the have learned in the Grammar Stage and learned to understand in the Logic Stage. 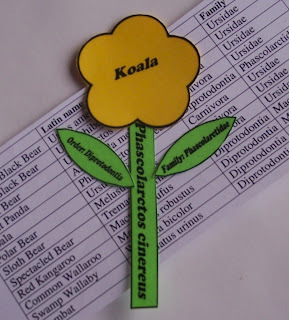 Years ago the kids and I created a classification notebook during our study of zoology. I have personally been fascinated with it ever since. 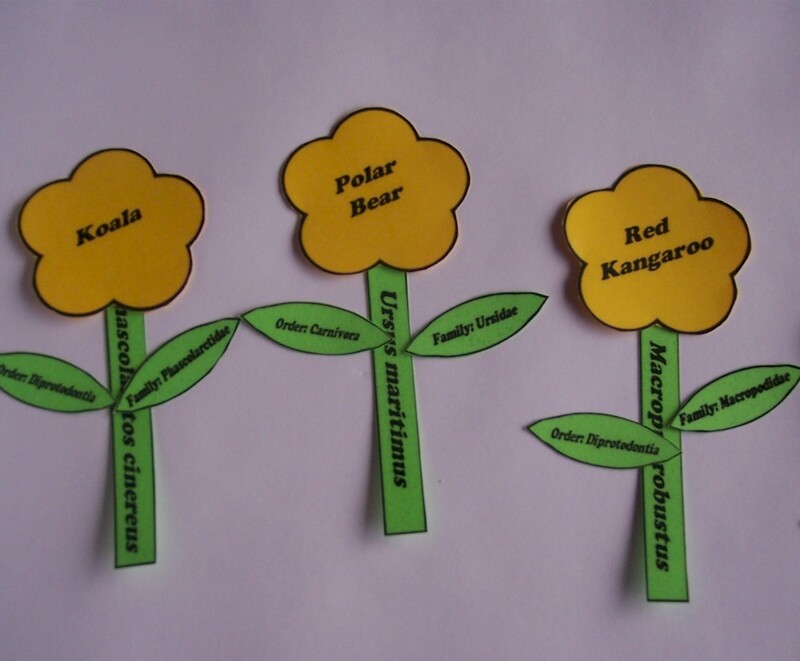 There is something fun about knowing the Latin names of plants or animals and understanding how they are grouped together. Of course our notebook only ended up including a small portion of all the animals on the face of our wonderful planet. But it helped them (and me) understand a more about how animals are grouped together. For instance, a koala bear is not a bear at all. I has a pouch like a kangaroo which groups it with the marsupials. Of course one of the most awesome things about homeschooling is that mom sometimes gets to learn right along with the kids. And learning this was one of those many exiting moments I shared with my kids. 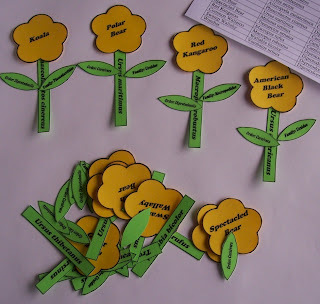 Recently I wondered what cool homeschool file folder game I could make. I started playing with all that classification stuff that fascinates me. 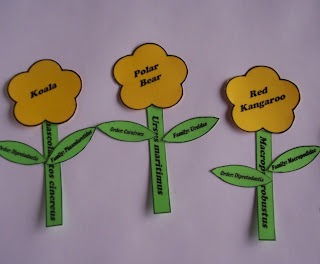 I thought about that whole koala thing at wondered about combining bears and marsupials as a fun way to show the where that koala really fits while learning the Latin names and so forth. I've had fun with this one and am pretty excited that I finished it and got it online today. I think there needs to be more though. But what? What other animals would group together well to make additional games like this one? I'd love some feedback. If you have been to my website you will have seen this post before. I'm changing my homeschool page a bit and needed to take it off. So I'm posting it here so it will still be available. I often think of Robert Frosts poem "The Road Not Taken" when I consider our decision to homeschool over fifteen years ago. I remember looking down that road and wondering where it would take me. Was it safe? Would I ruin my children if I homeschooled them? Or was it possible that if we were brave enough to take that less traveled road that I could do something better for my children. I consider now the nature walks, the wonderful books we've read together, the amazing discussions we've had and all the mornings we sat at our kitchen table sipping hot chocolate and waving to the other children as they trudged through freshly fallen snow to get to school. And my heart longs for the simplicity of those early days of homeschooling. The opportunities that first step into the lifestyle of homeschooling could not be seen from that place where I stood when I made the decision. Our world opened up to new possibilities for learning and doing things we never would have had the space in our lives to accomplish. Oh! It has made all the difference. My beautiful children know who they are. They are confident in many things that I hadn't learned until I learned it with them. They know how to take on a challenge and succeed. They are happy and our family is strong.